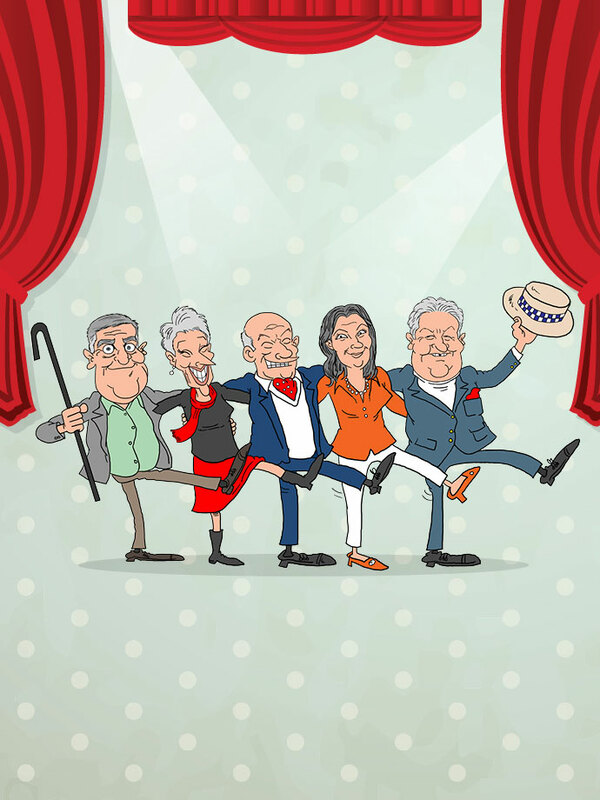 Gold Logie winner John Wood (Blue Heelers, Rafferty’s Rules), Play School icon Benita Collings and master satirist Max Gillies (The Gillies Report), all combine to deliver a somewhat silly show for otherwise sensible seniors. Generally there is no right to a refund or exchange except as required by law, or as provided in the Live Performance Australia Ticketing Code of Practice. Please refer to Ticketlink Terms and Conditions on this website. From the Ticketlink office during business hours or from the theatre one hour prior to performance. Groups from 8-10 tickets can be booked online. If group is larger than 10 please contact Ticketlink 1300 855 835. Ticket price includes a booking fee of 5% of ticket price capped at $2 per ticket.